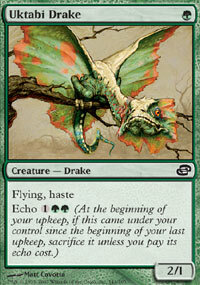 I would like to discuss the effect that Planar Chaos has had on one of my favorite formats to play in MTGO; the effect that Planar Chaos has had on Momir. Squee Avatar from the paper world. anyone) and the biggest hand disadvantage is shared by Hell's Caretaker and Royal Assassin at -2. In turn the biggest life advantage and disadvantage can be found on Loxodon Hierarch and Platinum Angel falling in at +12! and -9 respectively. 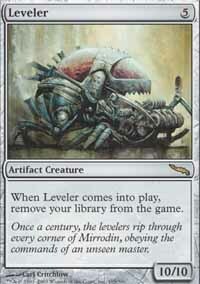 Now that I have got what vanguard magic is out of the way let me return to talking about Momir. 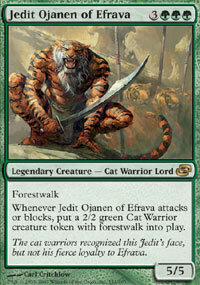 Like all avatars he is restricted to the formats that allow vanguard cards: Freeform and Vanguard (ext, std, and classic). 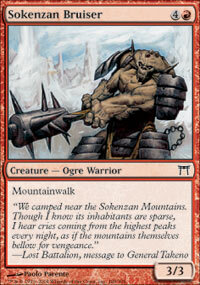 However Momir also though boasts a format of his own… Momir Basic. So what creatures can be put into play with Momir’s magnificent ability? 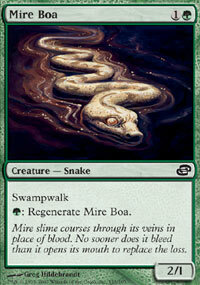 Momir is capable of putting any creature you are capable of owning on MTGO into play. If you would like to browse though all that creatures that that consists of go to your deck editor set it to include cards you don’t own and then select the creature only filter as well as the classic card pool. 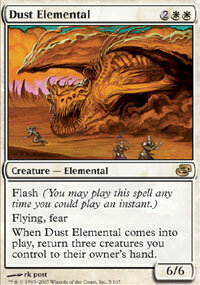 (Note: this will also show some creatures from UZ that can not be summoned by Momir. 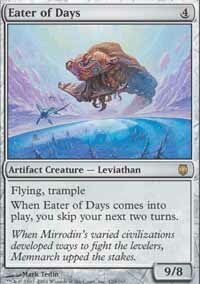 Only creatures that you can own online can be summoned) This consisted of 2716 unique creatures and with the introduction of Planar Chaos we received an additional 107 creatures bringing the grand total up to 2823 different creatures that Momir can summon to fight for you. They aren’t all gravy however a prime example of this is the zero casting cost slot (Yes he can also summon critter for no mana and just a discard) there are currently 3 critters in this slot and Planar Chaos hasn’t done any thing to change that. And of these three there is a nice example of getting you moneys worth, simply getting something and getting ripped off. 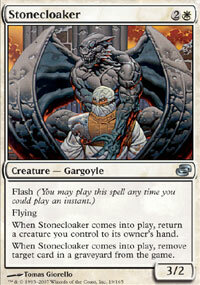 Ornithopter > Phyrexian Walker > Phyrexian Marauder. A 0/2 flyer is a pretty good deal if you have no mana to tap meanwhile Phyrexian Marauder costing X and coming in as a */* where *=X consequently dies when it hits the board and is one of the many dead cards Momir can pull. 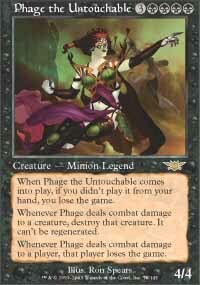 There are even some pulls that can loose you the game such as Phage the Untouchable so when you play Momir it pays to know the risks involved. 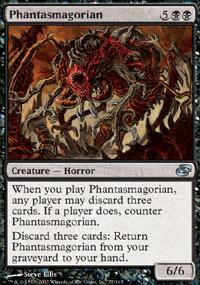 The breakdown is as follows along with my picks for the best and worst Planar Chaos has to offer. Overall I would have to say that Planar Chaos hasn’t added much to Momir in fact it may have even hurt it a little by introducing many new cards with the “rescue” ability (return a creature to hand) as well as many new cards with echo and as such added many more dead cards that Momir can target. 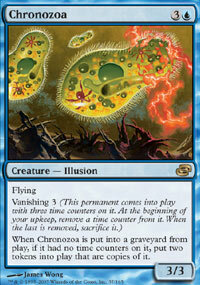 Planar Chaos’s saving grace however is its 6 casting cost slot. Every card here is useable and most of them you would be thrilled with if you pulled them. All in all the effect of Planar Chaos in Momir magic will be rather slight as it did not add any creatures to slots that hold few or none. Apart from making slot 6 (which is already one for the strongest) a bit stronger Planar Chaos has only furthered the randomness that is involved in the format by adding more creatures to the pool and the luck involved by adding more cards that you don’t want him to pull. Ok now that we’ve covered Planar Chaos’s addition to Momir lets talk about actually playing Momir basic. There are two main strategies to the format, agro and beatsticks. Each has its advantages and disadvantages. Agro summons critters from the start to get some early damage in that will hopefully win the game. Beatsticks on the other hand hold back in the start, taking a few points of damage if need be to insure they can hit their desired slot (normally slot 9 aiming for a Bringer of the Red Dawn or Blazing Archon) to summon a game winner. 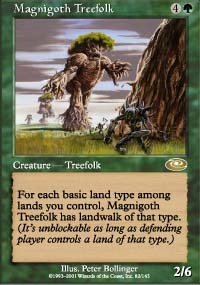 The agro approach has the disadvantage of being behind in terms of cards in its hand and running out of land to drops sooner, and limiting how powerful it creatures can get. Should some of its critters die when they hit the board its smaller lot will have to go toe to toe with some bigger meaner bullies. Beatsticks on the other hand, should its first creatures die leaves its gates wide open for a possibly unrecoverable amount of damage. 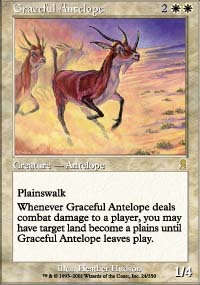 Additionally beatsticks will be behind in the creature count so has to depend more on pulling its winners as 1 to 1 exchanges do not come out in its favor and finally beatsticks is on the defensive for the first half of the game and should it opponent pull something it can’t deal with such as shadow or a land walker suffers the risk of getting pinged to death. The land you choose also play a big role in the strategy to Momir as you want to be able to use the abilities of you creatures or pay their upkeep if you don’t have the land to support them. 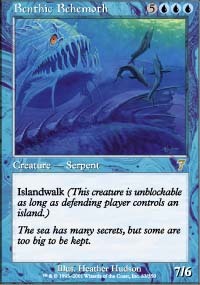 Meanwhile you don’t want to make yourself vulnerable to land walk creatures. 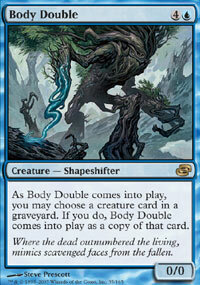 If you are new to the format you may want to start with an even amount (12) of each land. 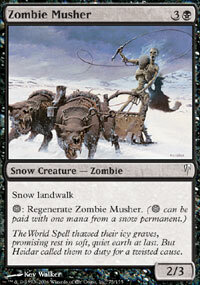 Furthermore if you own them or can afford them snow-covered lands open up many more useful abilities. The majority of players run more mountains and swamps as they tend to power removal type abilities as well are needed to make full use of some of the heavy hitters such as (Kuro, Pitloard) and Crimson Hellkite. I personally run a staircase of snow lands 14 mountains 13 swamps 12 island 11 forests 10 plains. 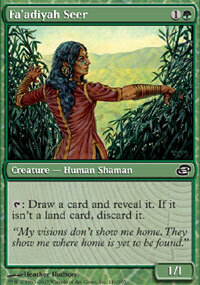 I even once met a Momir player who kept a record of his wins in Momir Basis via the lands in his deck. For every top 8 he made he purchased one unhinged land for his deck and for every 1st place finish he bought himself a foil unhinged land. Momir in vanguard is a bit different. Before the release events I took my Momir Vanguard deck to the 4x Vanguard event. My luck failed me I missed the top 8… just barely though. Here is what I ran. It’s a fun deck and a fast deck that is capable of generating a turn two (Akroma Angel of Wrath) to swing with and will rather consistently give you a beater by turn three. T2: draw/dredge, a one drop from hand (I do this turn two as there is less of a risk of a miss you could drop turn one and Momir for zero but then you have a 1:3 chance of getting nothing and as you are going to sac the creatures anyways the acceleration doesn’t matter) Momir for a critter (discarding whatever is missing after the dredge/didn’t discard before) then dread return for your (Akroma Angel of Wrath) or whichever beatstick you have access to. It does have its disadvantages though. Leyline of the Void really hurts this deck so you have to make sure to have enough enchantment removal on the side board. That cost me one game I didn’t pack enough. 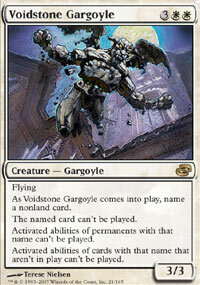 The other card that can destroy this deck is Azorius Guildmage as she can shut down Momir. 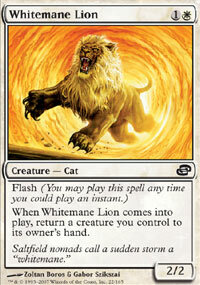 So be sure to pack some side board hate for her too. In conclusion I crown Jedit Ojanen of Efrava, as Planar Chaos’s champion to Momir and name Dust Elemental the dunce for the set (as more often then not playing him will mean clearing your side of the board). As for the set as a whole I give it a barely passing grade as while it did add some good new cards (particularly in slot 6) for the most part it added more cards that you do not want Momir to summon. That’s all for now and I hope to be seeing you at the tables. There goes my next article...Anyway, I loved your walk analysis, that's definitely something to consider when building a mormir basic deck. Another thing I would have considered would have been the various (pay x mana to keep this creature alive) cards that fill up the higher level slots (7-16 mana) so that one can judge based on that too..
PS Akroma Angel of Fury's thumbnail wasn't done correctly, remove the space. 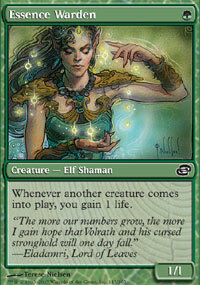 Although I'm a huge fan of vanguard, I just don't like Momir Basic. The main reason is (along some others) that I don't like the randomness of the format which is all about. As you also stated in your article, one Phage and you're dead. But hey, it's just me! 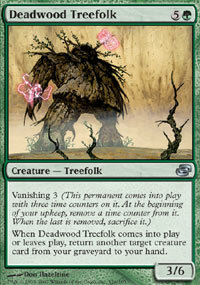 But Momir in vanguard is another thing. It is the avatar choice of many players in this format and this is the reason I have 4x Azorius Guildmage for game 2 and 3 in my RUW-Jaya Ballard Avatar standard vanguard deck(a card you warned the readers about). Overall a very nice article and good job.